Just like how we need exercise to keep our bodies in shape, our eyes also require training to stay healthy and see clearly. 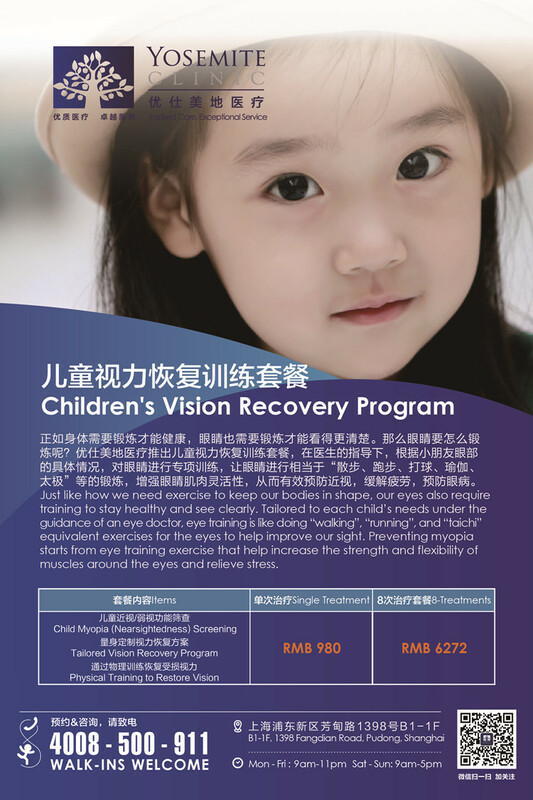 Tailored to each child’s needs under the guidance of a doctor, eye training is will include “walking”, “running”, and “taichi” equivalent exercises for the eyes to help improve our sight. Preventing myopia starts from eye training exercise that help strengthen our eyes and relieve stress. Parents play a huge responsibility in protecting their children's eyesight. Yosemite Clinic’s Ophthalmology department has a program designed for children to restore their eyesight and learn how to maintain healthy eyes.